E-commerce portal Shopee has partnered with Southeast Asia’s largest ride-hailing company Grab to provide same-day delivery to Filipino online shoppers. The deal, forged yesterday, will use the ride-hailing firm’s GrabExpress service to deliver your Shopee orders quickly and efficiently. For a fee of only 25 pesos (limited time only), GrabExpress will deliver your purchases from selected Shopee sellers to any destination within Metro Manila on the very same day of your order. The service is available for orders placed between 9:00 AM and 6:00 PM, from Monday to Saturday. “This partnership with Grab is in line with our long-term commitment to provide Filipino users a convenient and hassle-free shopping experience. 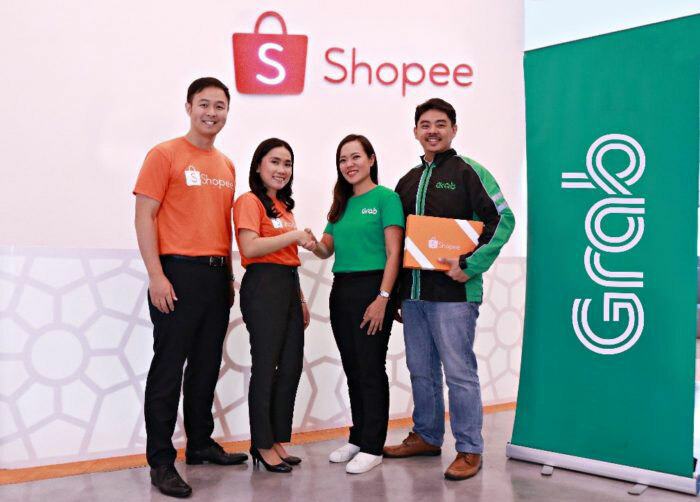 This partnership serves to afford an elevated level of convenience for users to shop for their favorite products or necessities on Shopee, and have them delivered to their doorsteps in just a few hours,” said Shopee Chief Operating Officer Terrence Pang. “We are continuously innovating the transport and logistics industry to deliver an excellent level of convenience our consumers deserve. This partnership with Shopee is a testament to our commitment to further improve our consumers’ Grab experience and address their needs beyond transportation,” said Grab Philippines Country Marketing Head Cindy Toh. At the moment, the service is limited to Metro Manila only and only a few selected Shopee merchants are covered. But the company has plans to expand the GrabExpress same-day delivery service to more merchants as well as Shopee Mall sellers. The deal between two of the region’s largest e-commerce players may lead to more collaborations in the future. Both companies are fending off rivals in their quests to become the dominant players in their respective industries. Shopee is trying to chip at archrival Lazada’s lead, while Grab is facing competition from Indonesia’s Go-Jek, which is planning to expand into Malaysia, Thailand and the Philippines. Grab recently bought Uber’s entire regional business in exchange for a 27.5% stake in the company.